Sergei Lebedev is the author of the forthcoming OBLIVION, a stunning debut novel about family, fate, untamed nature, Russia, and the legacy of the Soviet Union. Here’s a poem by Lebedev called “The Red Star,” which highlights some of the paradoxes and contradictions we must struggle with when examining Russia’s past. This poem, like Lebedev’s novel, was translated by the magnificent Antonina W. Bouis. he did not see the people he killed. and pulled the plane out of a dive. In forty-three they gave him the Order of the Red Star. My other grandfather worked for the NKVD. He was a senior lieutenant, the equivalent of army major. when he made them kneel at the edge of the execution ditch. 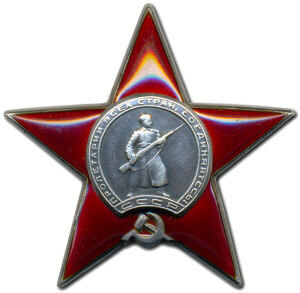 In thirty-seven they gave him the Order of the Red Star. in the house of her forester father. in the fall of forty-one. no one knows where they are buried. one for a soldier, the other for an executioner. And I don’t know how to tell them apart.